FORT LAUDERDALE —On Saturday, thousands are expected to come together at Nova Southeastern University (NSU) in Davie to take part in the March of Dimes’ annual March for Babies, the nation’s oldest walk fundraiser honoring babies born healthy and those who need help to survive and thrive. Each year in the United States, one in nine babies is born prematurely – 29,000 of them in Florida. Though the U.S. premature birth rate declined for the seventh year in a row, it is still higher than most developed nations at 11.4 percent. Pre-term infants account for a large proportion of infant deaths. More infants die from preterm-related problems than from any other single cause. Some premature babies require special care and spend weeks or months hospitalized in a neonatal intensive care unit (NICU) fighting for their life. More than 5,000 people are expected to walk the 3-mile course at Nova Southeastern University, 3301 College Ave. Registration starts at 7 a.m., with the walk stepping off at 8:30 a.m. The morning will be filled with activity, with the March for Babies Village offering food, entertainment, a Kid’s Corner, exercise and activities for all ages. The village, located adjacent to the Don Taft University Center and in front of the Alvin Sherman Library, will be open from 7 am until noon. Complimentary parking will be available adjacent to the Research and Information Technology Center on the NSU campus. This year’s event chair is Randy Gross, chief executive officer of Plantation General Hospital. The Broward County 2015 Ambassador Family is the Dreyfuss family from Weston, whose son Jonah was delivered at just 31 weeks of gestation and spent 54 days in the NICU and an additional six days in the prenatal intensive care unit (PICU). After experiencing the emotional toll of a premature birth, the Dreyfuss family celebrated Jonah’s first birthday this past November. “We are honored to serve as this year’s March for Babies Ambassador Family,” said Gabriella and Jeffrey Dreyfuss. “Without the March of Dimes, Jonah probably wouldn’t be here with us today. We fully support the organization’s mission and appreciate what they’ve done for our family and the community. Broward County’s goal is to raise $950,000. “March for Babies is our premier annual fundraiser, bringing together families in our community who have been touched by prematurity, birth defects or loss,” said Gross. 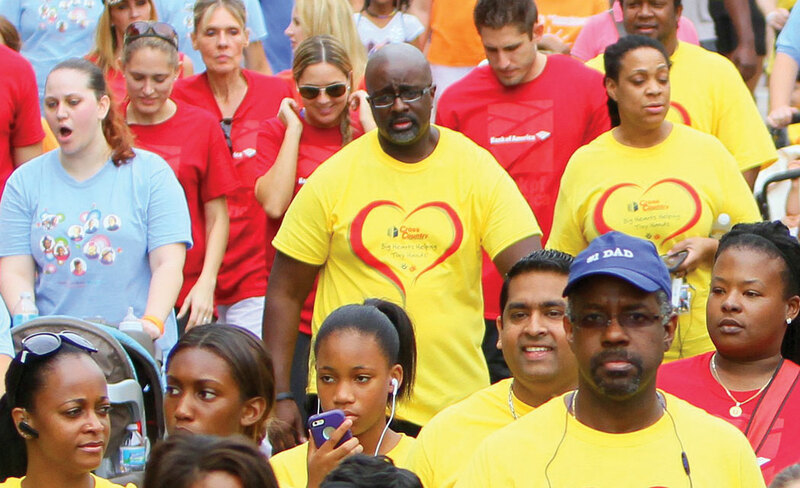 Communities nationwide have been walking since 1970 and have raised $2.3 billion. For more information, visit www.marchforbabies.org/event/broward.